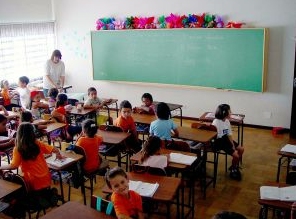 A free webinar on 28th June 2012 aims to provide advice and answer questions about moving abroad to teach. Many teachers will soon be getting ready to move abroad to start work in an international school for the very first time. Preparing to move overseas for the first time can be quite daunting and with this in mind, experts in international teacher recruitment and placement, Teachers International Consultancy (TIC) will be hosting a free webinar to help guide soon-to-be expats on this big change in their lives. The webinar will be hosted by TIC Director Andrew Wigford, who has over 20 years experience working in and with international schools. He will share advice on how to prepare for an international move and offer tips on adjusting quickly into a new professional and personal life. There will also be time for questions and answers. The webinar is completely free of charge and will take place on Thursday 28th June, 2012 at 5pm (British Summer Time). Webinars are easy and convenient to participate in. They are just like a seminar but accessed through your computer. All participants log-in at a scheduled time and you will be able to watch a live interactive presentation. The TIC webinar will last for 30 minutes. There is a participation panel on your screen as part of the webinar so that you can type in questions or comments related to the webinar as it is happening. This means that all your queries can be answered there and then with no waiting, no cost and all achieved just by sitting in front of your computer! To sign up to the TIC webinar on Preparing to Move, email: sophie@ticrecruitment.com.